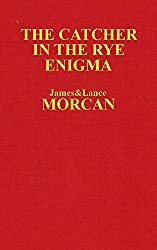 The paperback edition of our controversial book THE CATCHER IN THE RYE ENIGMA: J.D. Salinger’s Mind Control Triggering Device or a Coincidental Literary Obsession of Criminals? (The Underground Knowledge Series, #4) has been published. This balanced exposé ultimately leaves it up to you, the reader, to decide whether J.D. Salinger’s novel is a “Mind Control Triggering Device” or simply a “Coincidental Literary Obsession of Criminals” just as this book’s subtitle suggests.